"AKARI-PAY Advanced" Released, plus some updates! 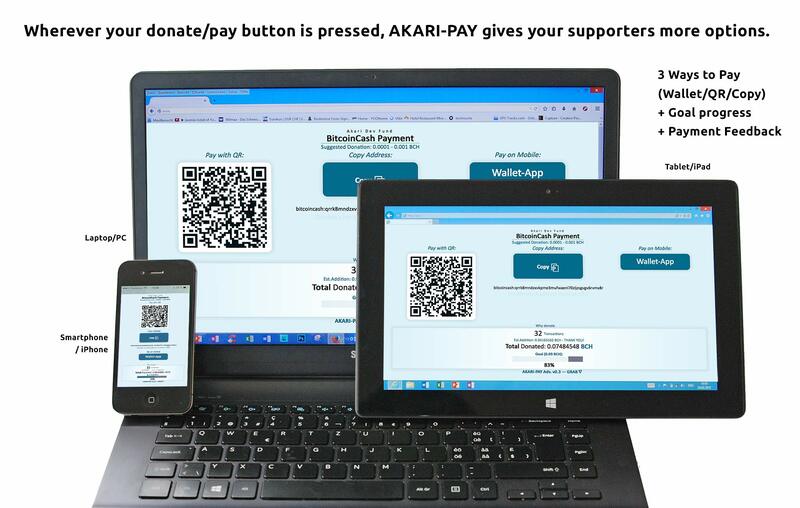 We recently announced the release of the "Advanced" version of AKARI-PAY https://github.com/AKARI-B3/akaripay - AKARI-PAY is a free one-file payment tool that encourages donations for yourself or your projects. This adds additional free features to the free and open-source one-file fully-responsive donation/pay pages that anyone with a web-host can take advantage of to accept Bitcoin Cash with zero fees and instant transactions! We've already had a few interested parties consider leveraging the new tool for the campaign, as well as a few individuals looking to launch some fundraisers. We are working on making it even easier and creating another similar tool to go hand-in-hand with AKARI-PAY to make starting your own BCH fundraiser even easier (Even if you don't have a webhost). Meanwhile, we are working on the other projects listed on http://agf.earth including updating our main website. We also created a Dev-Chat to help support any Bitcoin Cash developers or individuals seeking to leverage BCH donations to help support their own projects. Here is a DEMO of our own donations page. Stay tuned for more updates soon. 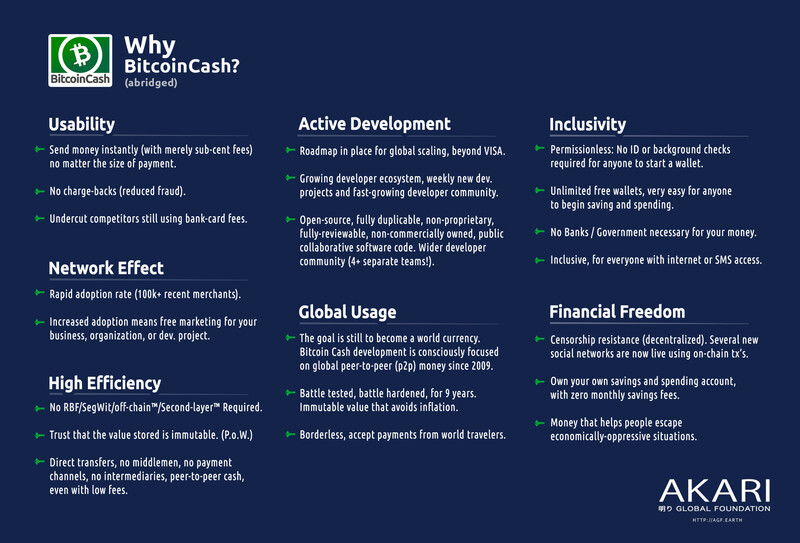 If you use AKARI-PAY or appreciate the work we are doing, please consider donating using the buy button below, your donation will not only help us but will also introduce newcomers to Bitcoin Cash and spur on others who are starting projects in the BCH ecosystem or using Bitcoin Cash to raise funds. How does this compare with moneybutton.com? Competition, or doing something different? I think they are different, there is space for both for certain, moneybutton will allow anyone to sell any digital file or content quite easily I think, it seems like it would be great for creators. AKARI-PAY Advanced and our other tools are more directed towards open-ended goal campaigns and fundraising campaigns. Each have different advantages depending on the context.